Only a handful of letters (or less) by the artist, aesthete and murderer Thomas Griffiths Wainewright survive (None yet traced!). He holds the dubious distinction of being the first English murderer to employ strychnine; with his wife's help he first murdered her half-sister and then his uncle. Artist, essayist, connoisseur and dandy, friend of Charles Lamb and patron of William Blake, Wainewright is a fascinating and elusive figure who inspired Oscar Wilde, whose study of Wainewright, the essay 'Pen, Pencil and Poison', first appeared in 1889, cribbed from the introduction to W.
[ Allan Aynesworth [ Edward Abbot-Anderson ], actor. ] Autograph Letter Signed ('Allan Aynesworth'), a letter of condolence to Lady Hall on the death of Sir Edward Marshall Hall. 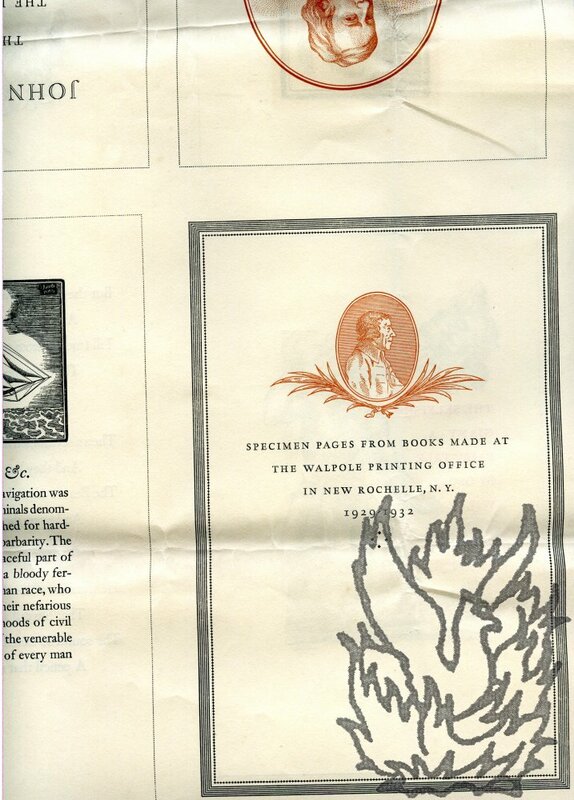 On letterhead of 78 Portland Place, W.1. [ London ] 24 February 1927. [ Sir Edward George Clarke, barrister who represented Oscar Wilde. ] Autograph Letter Signed ('Edward Clarke'), reminiscing about a trial at which he considers his client was wrongly convicted, and commenting on his son William Francis Clarke. On letterhead of Peterhouse, Staines [ Middlesex ]. 22 December 1927. 1p., 4to. In fair condition, lightly aged and worn. He begins by expressing pleasure at having been asked to write his name in Tyrrell's copy of his book (probably 'Benjamin Disraeli', published in 1926). He also thanks him for 'the kind things said about me in your letter'. He has 'tried to be useful in various ways', and remembers 'the case you mention. [ Thomas Wilde, 1st Baron Truro, Lord Chancellor of England. ] Autograph Signature ('Tho. Wilde'). On 1 x 4.5 cm. slip of paper, cut from a letter. In good condition, lightly aged. A good clear signature, neatly underlined, with the cross-stroke of the initial T looping down in calligraphic style. A few words of text from the letter on the reverse. [ William Edward Frost, English artist. ] Autograph Letter Signed ('W. 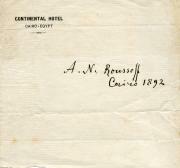 E. Frost') to Joseph B. Cooke, regarding family illness and the gift of a photograph. 46 Fitzroy Square [ London ]. 30 January 1875. 1p., 12mo. On aged and worn paper. He regrets to inform him that 'we have still a sick house'. His 'dear Sister' has been 'very ill', but he trusts they are 'both mending'. He concludes: 'I have pleasure in enclosing a Photo of myself, and shll be pleased to be admitted to your collection'. Professor Joseph Bristow, in his paper 'Homosexual Blackmail in the 1890s', describes how, twenty years later (on 11 August 1894), at a party hosted at 46 Fitzroy Square by John Watson Preston, twenty men were arrested, including two dressed in women's clothing. Both cloth, brown and green, folio, worn and damp-stained, comntents good,. 52pp., manuscript AND  44pp, mainly typescript, partly manuscript. Stock list of Publications Dec. 1906 incl. "American Explorers". David Nutt initially specialized in continental books on classics and religion but the empahasis changed towards folklore, Arthurian Romance and cognate subjects. Among his publications were the "Archaeological Review", early volumes of the Irish Text Society, the Grimm Library, the Northern Library of saga material and the Tudor Library. Two Autograph Letters Signed from the Oxford Professor of Fine Arts, Selwyn Image, to 'My dear Barnard' [Rev. P. M. Barnard? ], regarding funghi and moths. Both from 20 Fitzroy Street, W.; 12 and 17 August 1908. Both items good, on aged paper. Written in Image's distinctive calligraphic hand. Letter One (12 August 1908): 1 p, 12mo. The 'Galatheas' arrived the previous evening 'quite safe'. 'Fancy your being at The Warren as well as at Deal! The Warren [Folkestone] is famous for being stocked with good things. You are indeed in the very heart of the richest entomological country in England.' Letter Two (17 August 1908): 2 pp, 12mo. He is delighted with 'these beautiful ochroleuca, which arrived this afternoon quite safely'. Autograph Letter Signed ('Wm: Melmoth') to 'my very dear Sophia [Walters]', exhibiting a warmth unusual in one writing 'at the advanced Age of eighty five'. Date and place not stated. Docketed in a contemporary hand: '1798 Written at the advanced Age of eighty five [sic, for 88]'. 1 p, landscape 12mo (18.5 x 11.5 cm). Eleven long lines in a small neat hand. Text clear and complete. Fair, on aged paper. Tipped in onto a piece of paper, 21 x 13 cm. The reference to Melmoth's 'advanced Age' is at the foot of the page. 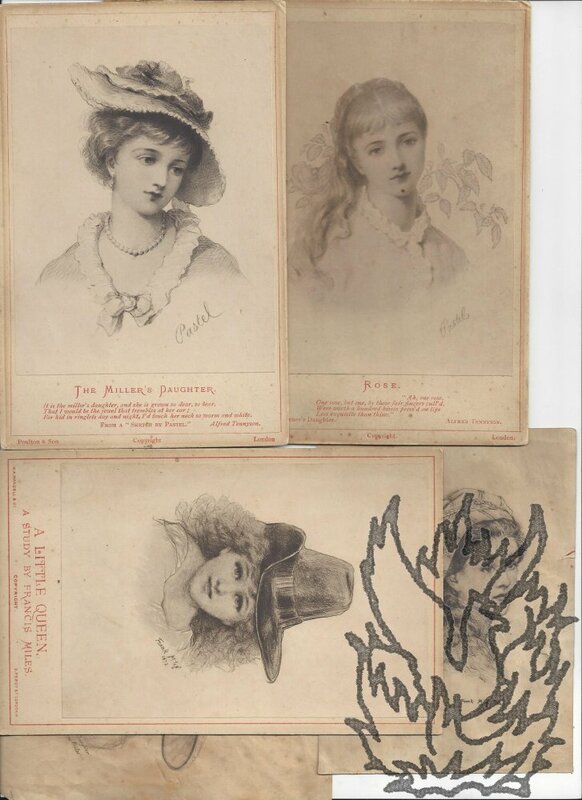 Docketed on reverse in a contemporary hand: 'From Mr. Melmoth to Mrs. Walters'. Begins: 'Believe me, my very dear Sophia, I am so truely [sic] your obedient servant in every affectionate & friendly sense of those terms, that there is no office in which you can employ me I shd. 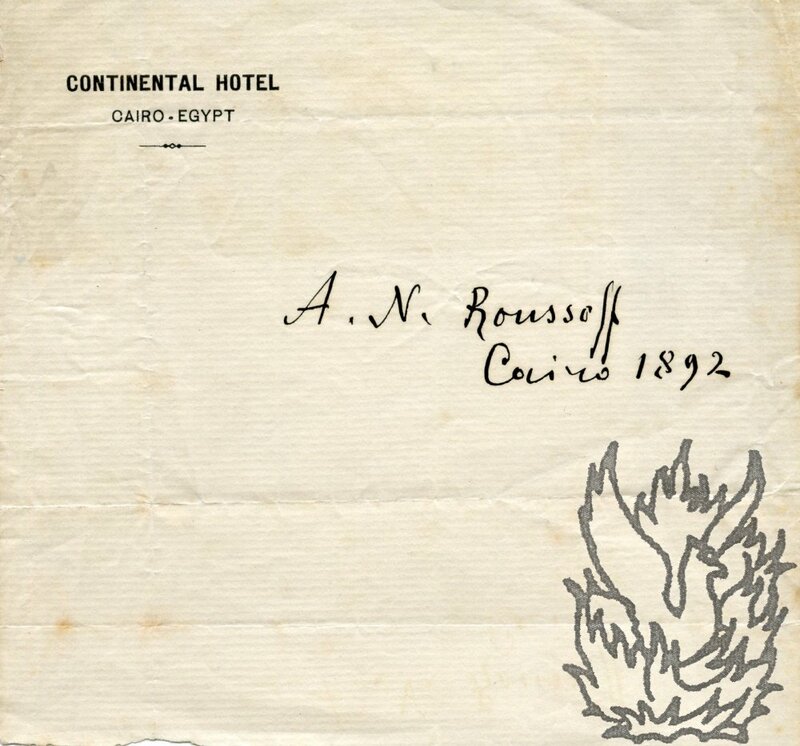 Autograph Note Signed "Robert Hichens", journalist and novelist, to [Douglas] Jerrold. Savoy Hotel, London (printed heading), 6 Oct. 1913. One page, 8vo, some dusting, mainly good. "Many thanks for yr kind note. I am very glad that you enjoyed my 'Holy Land'".Thank you for telling me so. Three Autograph Notes Signed Robert Hichens, journalist and novelist, to Miss Crommelin. 24 St James St SW (Printed), Easter Monday and 24 April [1913?] and [Printed heading] Meadowside, Tankerton, Whitstable on Sea, 25 Nov. 1914. Total 4 pages, 8vo, fold marks, mainly good. 1. He'll send some books, is kept in London by work, but will take up her suggestion when he can. He currently has to mingle war work with personal work. He talks of his aged parents, and of the climate which drives me almost to despair. 2. He asks where to send the books. 3. He is spending time in Tankerton and has only just got her letter and kind invitation. He admiires her energy as traveller. Typed Letter Signed to "Sydney Gutman. The Bermondsey Book[shop]". C/o The American Express Company, 2 rue du Congres, Nice. A.M. December 15, 1925. One page, 4to, punchholes, edges discoloured, mainly good condition. Two small additons in his hand. He thanks Gutman for his cheque and order for "three sets of Oscar Wilde" of which he can immediately supply two, the other to come from storage. One copy sent is the "Brentano's edition of New York" and he wonders if Gutman would prefer "my German editon. He has written to "Heath" [bookseller, partner of Gutman's] about copies of James Thomson's poems on his hands. Signature on fragment of letter to Lane-Poole. Cut into a rectangle, 4 x 10 cm. 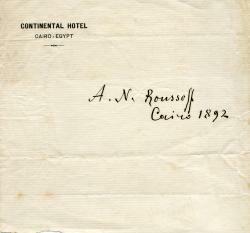 Good, on lightly-aged paper, with vertical crease to one side, well away from the signature. Reads 'Yours very truly, | [signed] Frank Harris.' 'To S. Lane-Poole Esq.' in bottom left-hand corner. Docketed on reverse 'Editor of Saturday Review & Author of "Elder Conklin'. Autograph Letter Signed to 'Mrs. Carson', discussing his novel 'The Garden of Allah' (1905). 22 September 1906; Broadway, Worcestershire. 12mo, 2 pp. Twenty lines. Text clear and complete. On lightly aged paper with a 2 cm across both leaves of the bifolium (not affecting text). He did not 'draw Domini and Hermione from special people', but believes that 'there are women quite as sincere as they are'. Autograph Letter Signed ('L. C. Purser') to the classical scholar John Percival Postgate (1853-1926). 22 February 1915; 35 Trinity College, Dublin. 4to, 1 p, 22 lines. On aged paper, with chipping at extremities neatly repaired with archival tape. Text clear and entire. He thanks him for his 'interesting paper', commenting on the 'Lucretian passage'. Postgate's 're-arrangement [...] is undoubtedly more attractive & logical than the ordinary arrangment, and as such I welcome it: but must we suppose always that artists do as well instinctively as they might if they had taken counsel?' 'Ex silentio I judge that all is well with you, as far as anything can be well for any of us these terrible times. A London Comedy and Other Vanities. With seven reproductions of pictures by Maurice Greiffenhagen. London: George Redway. 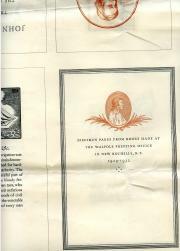 Printed by William Clowes and Sons, Limited, Stamford Street and Charing Cross. 1897. AUTHOR'S COPY, WITH HIS MANUSCRIPT REVISIONS FOR THE SECOND EDITION. Octavo: 96 pages. Seven plates (of eight). Original olive cloth gilt, with pierrot on front board. Numbered copy twelve in the edition. One leaf (pages 49-50) removed. Aged, and in heavily worn boards. Carrying manuscript changes on twenty-two pages, as well as on a plate and the front board. Cutting loosely inserted, regarding a couplet by 'E. V. L.' of Brighton (clearly E. V. Lucas) addressed to Mew regarding the word 'hyperbole'. 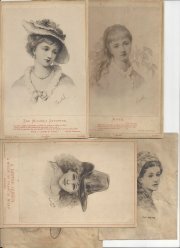 Six of Greiffenhagen's seven illustrations are present. Author and musician (1826-1906), described by Louise Jopling as 'a rich bachelor' and 'a noted figure in the seventies'. 1 page, 16mo. In good condition despite slight creasing and discoloration. Letterhead in green and black ink. Reads 'My dear Locker, | Many thanks - I will meet you at the Athenaeum at 3 o'Ck. on Tuesday - I have done, & shall do nothing till then. | Every yrs. | Hamilton Aïdé'.